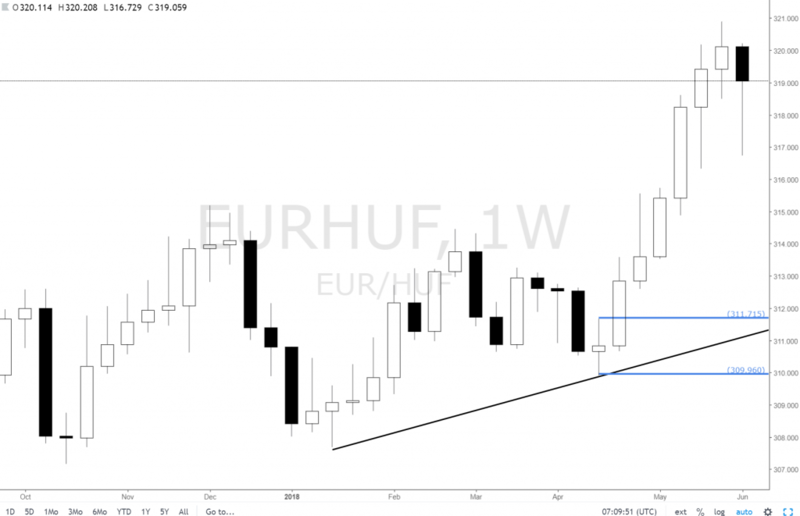 Forex exotic EURHUF is rallying very strongly, creating new levels of weekly demand for potential longs at around 311.7 so here is where we will be looking for trades. 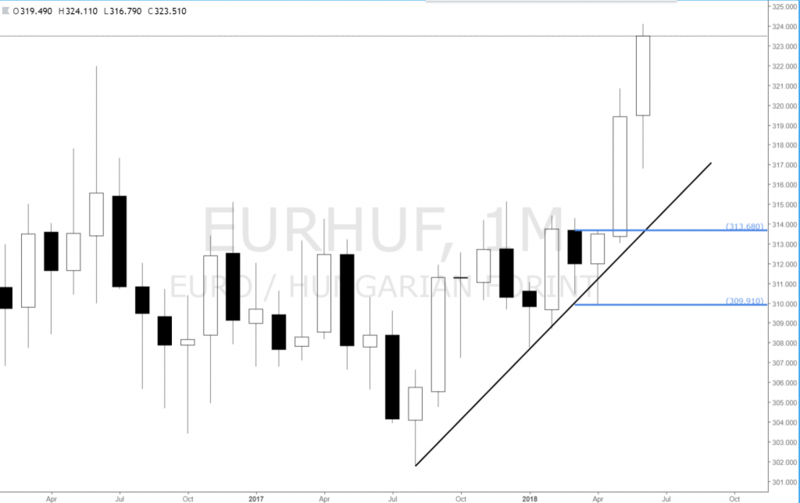 In an uptrend supply zones are removed and demand imbalances and levels are respected. 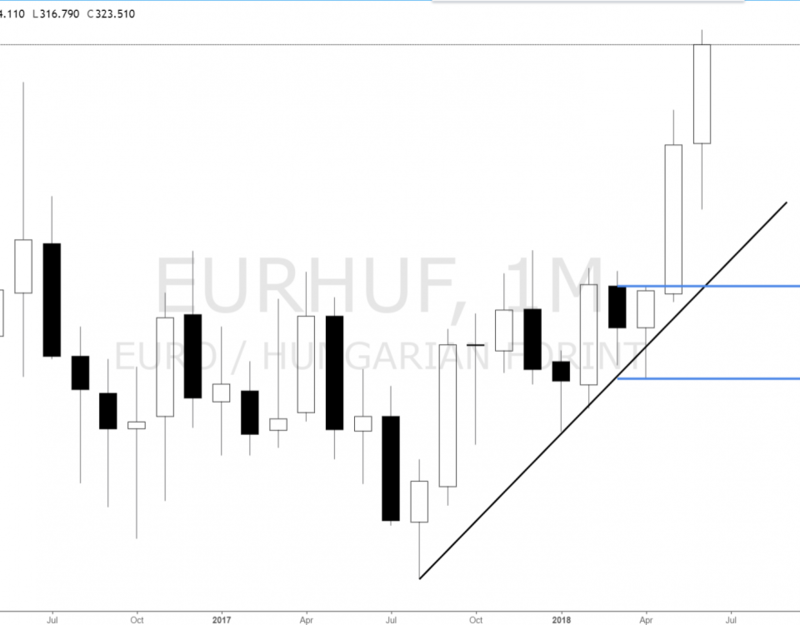 Forex exotic eurhuf is reacting to weekly supply imbalance at 313. 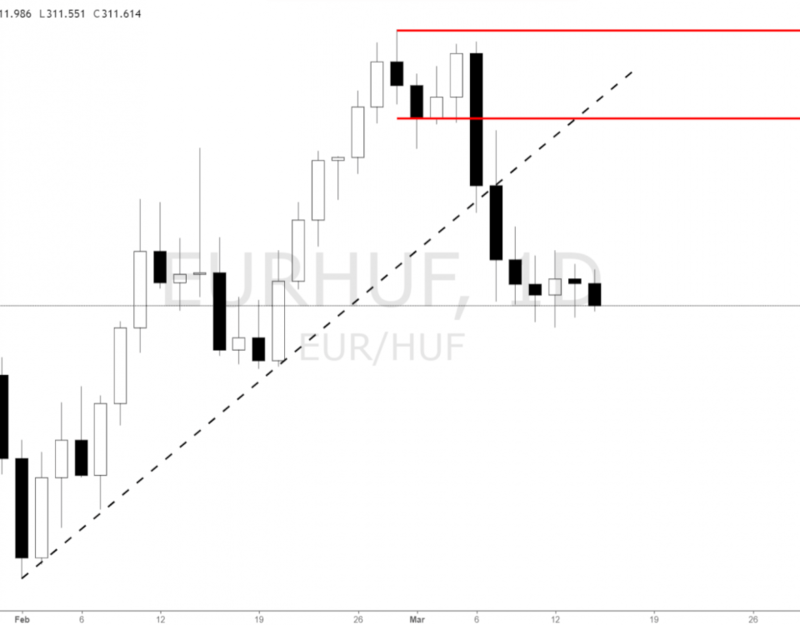 Potential shorts could happen as supply zones are being respected and created on the lower timeframes. 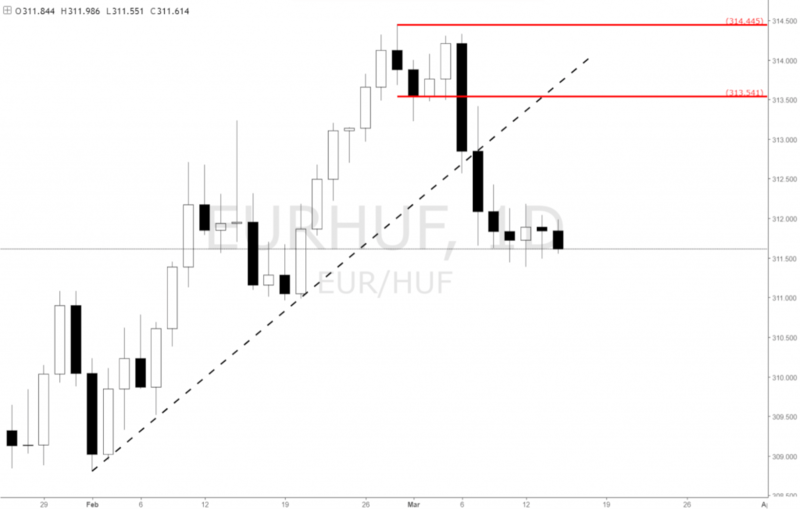 The level has a nice departure and broke ascending trendline. 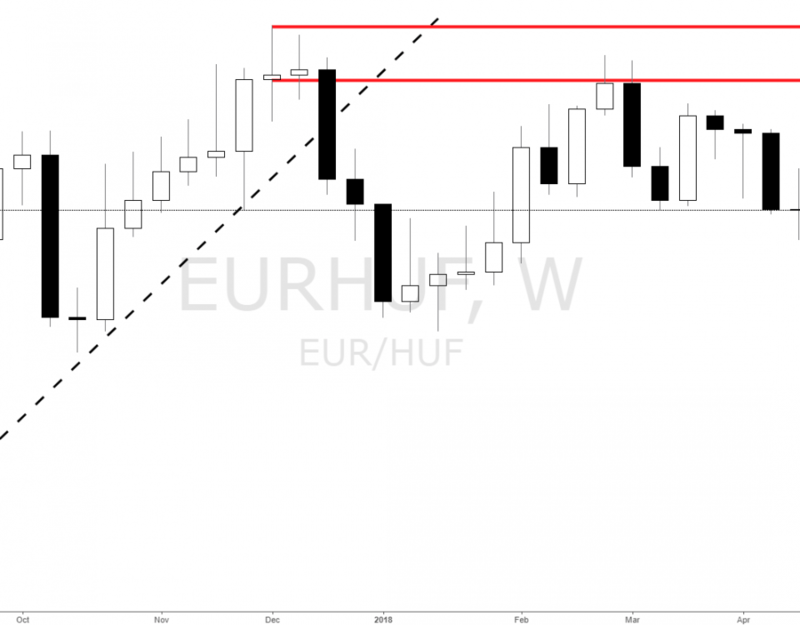 In a downtrend supply imbalances are created and respected and demand zones are removed. 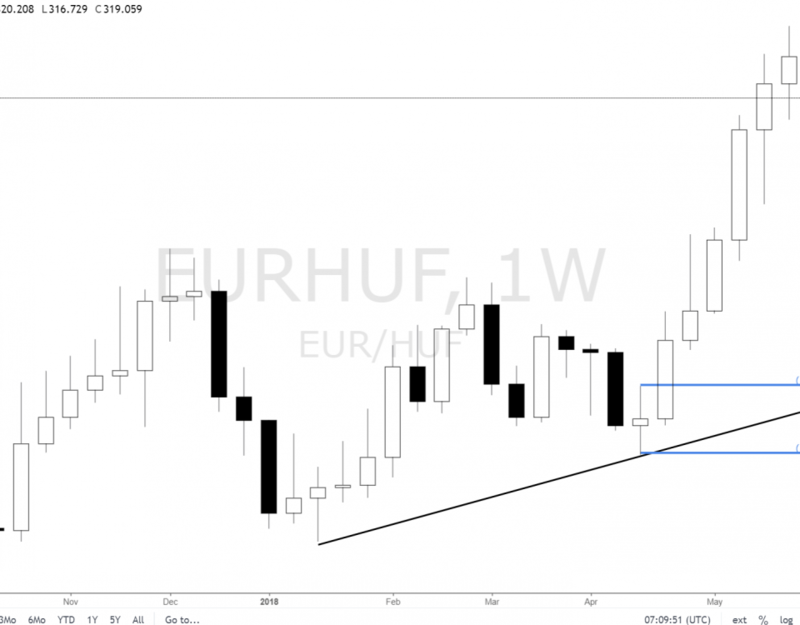 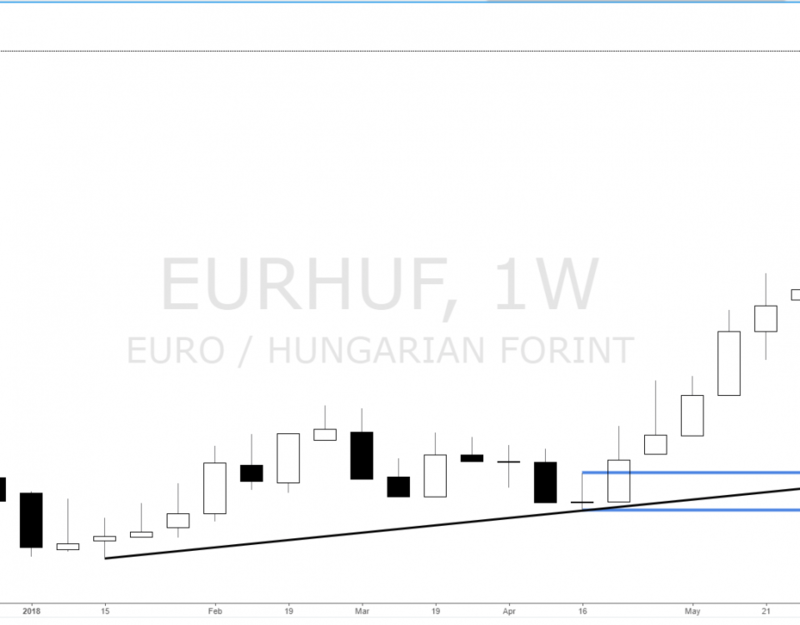 Short bias on eurhuf.